If you’re a victim of drug addiction, you need to act as soon as possible. The situation will only worsen as time goes on, and your only chance comes from professional rehab programs. 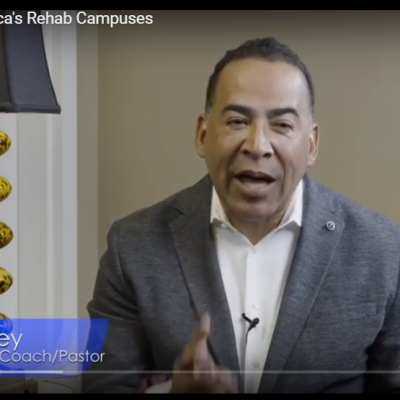 You need urgent assistance, and here, at America’s Rehab Campuses, we’re ready to provide it to you. You have many rehab institutions to choose from, but not all of them live up to the same standards. While some offer incomplete and poorly optimized rehab treatments, others show a lack in service quality. Our Arizona rehab program solves those problems. We consider that substance addiction is a delicate topic that many people take for granted. Detailed diagnosis – The purpose is to analyze your condition and understand how to structure the rehab treatment. During this stage, our experts will look for signs of behavioral, mental, and cognitive issues, as well as symptoms associated with co-occurring disorders. Comprehensive clinical detoxification – The detox plan follows next, with the purpose of eliminating withdrawal, and contain the symptoms of drug addiction. This is what will allow us to restore your behavioral and physiological functions. Dual-Diagnosis – Our Arizona rehab program also considers treating any co-occurring mental disorders that may delay or prevent your recovery. Not many rehab institutions use this strategy, which is why we have among the highest success rates in practice. Psychological and emotional recovery – Addressing emotional traumas plays an equally important role in supporting a fast and long-lasting recovery. It’s also what will prevent the relapse in the future, contributing to restoring your psychological and spiritual stability. Education and social skills – We want to help you understand the danger you’re in, and realize how to avoid the same situation in the future. Our clinicians and health specialists will teach you how to develop coping skills and how to preserve your sobriety for good. Relapse prevention strategies – Whether it is about avoiding or controlling your cravings, as well as staying away from social triggers, relapse prevention is paramount. Our staff will provide you with all the knowledge and the motivation you need to remain sober and rebuild your life from scratch. Living with drug addiction will never take you to places you’d ever go to on your own. It’s a severe mental disorder with equally dangerous side-effects, many of which you can’t even begin to suspect. It’s time to start changing your life for the better. Join our Arizona rehab program, and rebuild your life as a free, healthy, sober individual! At America’s Rehab Campuses, we have some of the leading specialists in the field, ready to help you. Grab our hand now, before it’s too late!